Does Wearing Ski Boot Gloves Work? If you've seen some skiers with funky black coverings on their boots, you may have wondered what they are, and if they're effective. Ski boot gloves, also called "bootgloves," are insulating neoprene coverings that slip over the toe and front buckles of your ski boots, wrapping around the ankle to stay secure. They are both wind and waterproof in order to keep your boots protected from the nasty weather. Do Ski Boot Gloves Keep Them Warm? Some skiers swear by ski boot gloves, others could take them or leave them. 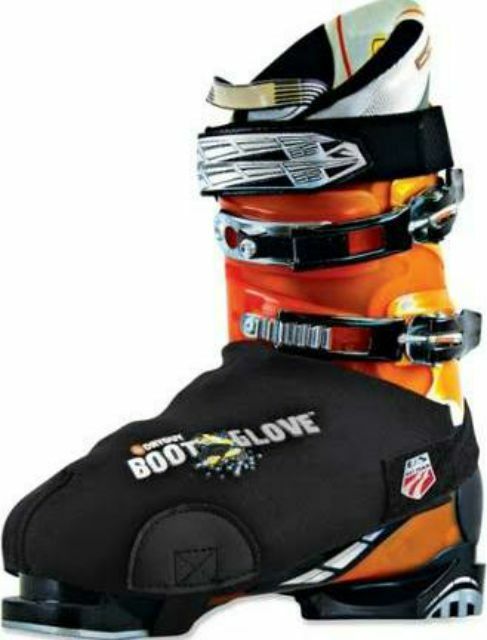 DryGuy, one of the top manufacturers of ski boot gloves, claims that their BootGlove™ adds up to 20° F to the toe box. In a field test in Alaska, the DryGuy team sent out a test skier with one boot gloved-up, the other one naked. According to DryGuy, after skiing 1,300 vertical feet, the skier's boot with the BootGlove™ was 53° F warmer than the exposed one. Are Ski Boot Gloves Worth Buying? Do you often ski in single digit temperatures? Many skiers report that ski boot gloves aren't a magic solution for toasty toes, but only make a difference in frigid weather. If you tend to ski in temperatures above freezing, you may not find that the ski boot gloves make a significant difference for your feet. Do you unbuckle your boots between runs? Some skiers who like their boots super-snug will flip up their buckles on the lift to offer some mid-run relief. If you're one of these skiers, boot gloves aren't for you, as you won't be able to access your buckles. Do you constantly have to adjust your ski boot buckles? If you have fussy boots that require attention throughout your day, ski boot gloves may end up frustrating you more than anything else. Are your feet consistently cold? If you have poor circulation or are simply susceptible to frigid feet, ski boot gloves will certainly help, but they won't provide the toasty warmth you may be imagining. If you are seeking warmth - not just protection from the cold - you may want to consider investing in ski boot heaters. Where Can I Buy Ski Boot Gloves? Many ski gear shops sell boot gloves, and REI is a consistent distributor of the DryGuy BootGlove™. Discount shops like TJ Maxx and Marshall's are also known to occasionally carry ski boot gloves, depending on the season. Put your ski boot gloves on the inside, when your boots are warm. Otherwise, the boot gloves won't have any warmth to seal in. If your boot gloves get cold and wet out there, take them off during lunch to dry out. That way, your boots can heat up again, and you can put the ski boot gloves back on when your toes are toasty again. Taking your boot gloves off during lunch will also prevent any snow from melting into the boot gloves and causing them to get wet. If your ski boot gloves get drenched, take them off for the day. Boot gloves are supposed to be waterproof, but if you're skiing in damp, slushy conditions, there's a chance the water might win out. If that's the case, stash them in your pocket, because once they're wet, they won't be as effective. Take a close look at the boot glove sizing chart before you buy, and make sure to purchase the proper size. 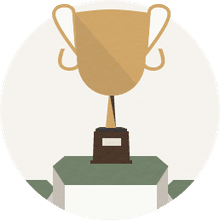 A ski boot glove that's too loose won't help to trap in warmth, and a ski boot glove that's too tight could cause distracting discomfort in your boot's toe box.